Ilford Universal Stop Bath | Polysciences, Inc. This economical, highly active solution is designed to immediately terminate the action of both black and white films and paper. It prevents fog or stains while maintaining the conditions of the fixer. 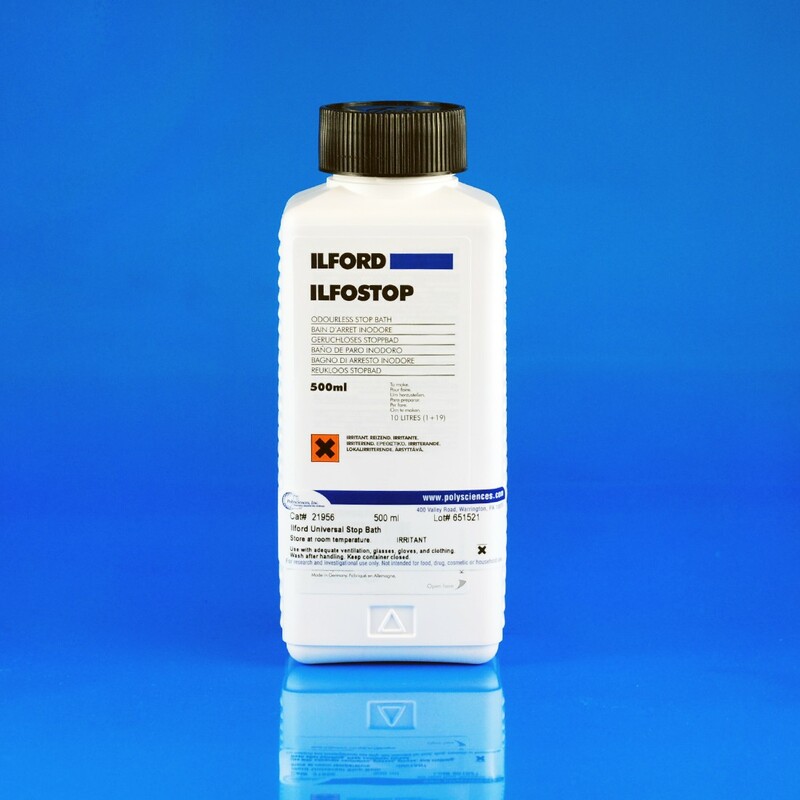 Recommended for use with Ilford emulsions and films and both resin coated and fiber based papers. The economical liquid is concentrated and normally used in a 1 to 9 dilution.